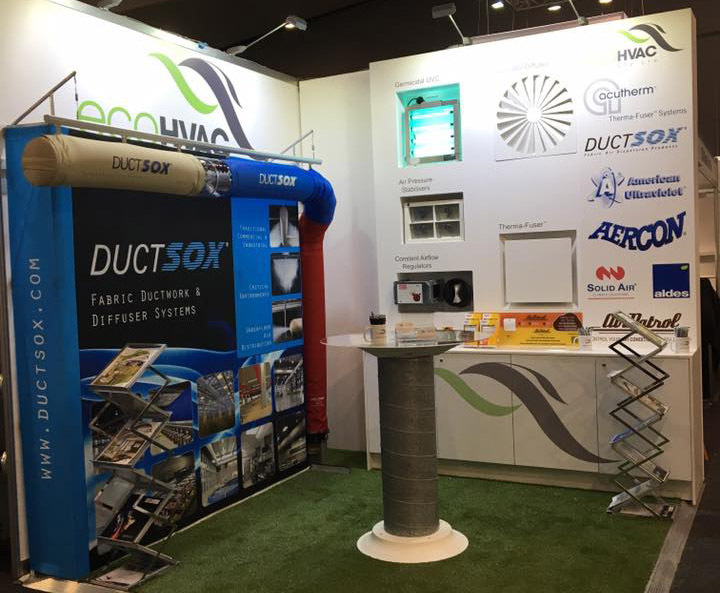 ecoHVAC are exhibiting at ARBS 2016 in the Melbourne Convention & Exhibition Centre 17 – 19th May, 2016. ARBS connects over 250 local, national and international manufacturers and suppliers with thousands of industry decision makers, specifiers, engineers, contractors and trade technicians. ARBS will showcase the very latest products, technologies and services all together in the one convenient location. On our stand we are displaying VAV Diffusers (Acutherm), Fabric Ducting (DuctSox), Air Pressure Stabilisers (Aercon), Germicidal Ultraviolet Light (American Ultraviolet), Constant Airflow Regulators (Aldes & Solid Air) and Smart A/C Control (AirPatrol). Visit us at Stand 725. We look forward to meeting you. If you’re unable to attend ARBS but are interested in our products, please visit our Products page or Contact Us.